Today was Bob‘s last day at Microsoft. He was the project manager of Sketch Flow and his contribution will be remembered. Bob leaves to join Apple where he will work on iPhoto and he will be replaced by Dave Carley as project manager of Sketch Flow. For those who didn’t know Sketch Flow is developed almost exclusively here in Minnesota. Farewell Bob and good luck Dave! 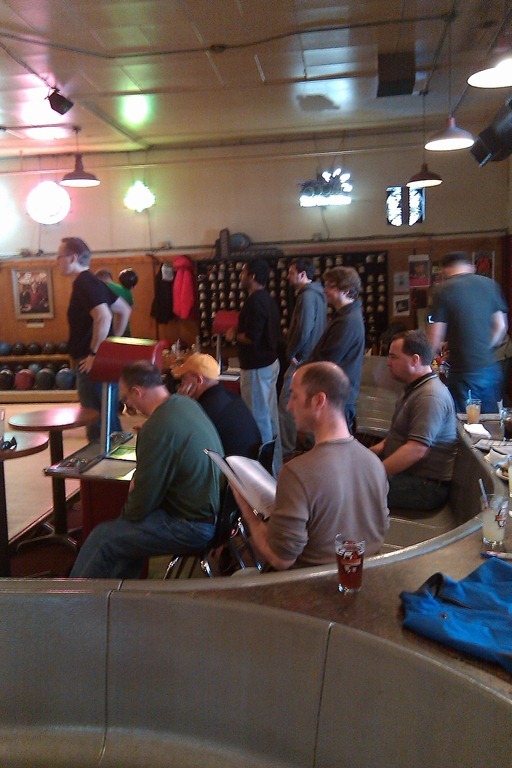 This is a photo of some of the Microsoft Twin Cities Development Center bowling at Bryant Lake Bowl. Bob stands at the left.